DETROIT – Winning masks deficiencies. The Boston Celtics had been masking a couple of theirs for two straight weeks. Not many noticed Boston’s defensive slippage as it carried an eight-game win streak into Saturday night’s matchup with the Pistons in Detroit. 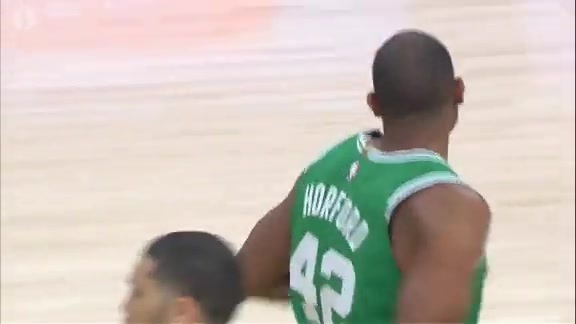 That slippage was impossible to ignore, however, after the Celtics fell 113-104. Defensive breakdowns have now surfaced for four straight games, although the C’s are 3-1 during those contests. Among those breakdowns are two that stand above the rest: the inability to stop opposing offenses during first halves, and a regression in defending the 3-point line. Saturday night, Detroit became the fourth consecutive Celtics opponent to score at least 53 points during the first half on at least 45.2 percent shooting. Overall during the four games, Boston’s opponents averaged 55.3 points on a combined 47.6 percent shooting during first halves. The Pistons tallied 57 first-half points on 52.4 percent shooting. Equally troubling is the fact that Boston’s 3-point defense, which ranks in the top five in the league, has taken a step backward. The Celtics entered Saturday night ranked fourth in the NBA in opponent 3-point percentage with a mark of 32.5 percent. However, including Detroit’s 10-for-30 performance Saturday, Boston’s last four opponents have combined to make 46 3-pointers on 36.2 percent shooting. Boston’s powerful offense was the main reason why these deficiencies were hiding under the surface. The C’s had caught fire over the last two weeks, surging to the top of the league in many offensive categories during that span. Brad Stevens stated Saturday that the offensive firepower may have begun to affect the defense. “I think generally when you go through a run like we just went on and you’re scoring the way [we] scored, there’s a natural tendency to slip a little defensively,” he said. 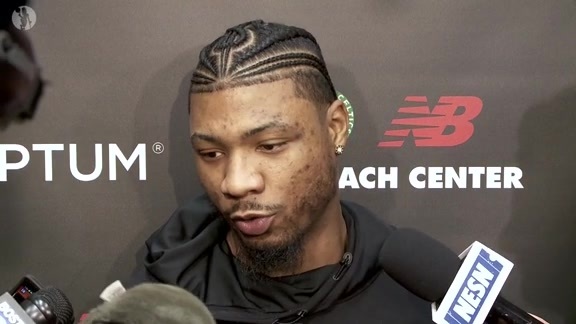 Marcus Smart told Celtics.com that such was a topic of discussion amongst the team following its loss to Detroit. Smart indicated that doing so will begin with high-level preparation. 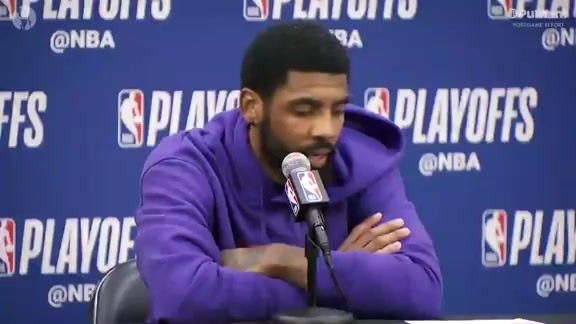 “I think that what Coach Stevens means of the drop-off (is) when we score that many points and then we just allow other teams to get those easy points where it’s like, they throw the ball out in transition and get an easy layup, or they get a back-door cut, something that’s easy,” Irving explained. Along those lines, for example, Detroit scored 17 points off of Celtics turnovers during the first half Saturday night, and 26 overall in the game. Transition offense keyed the Pistons’ game-changing, 13-0 run during the second half. These breakdowns have shown the Celtics that although they rattled off eight straight wins, they still have plenty of room to improve. When asked Saturday night where he thinks Boston’s defense stands right now, Irving replied, “I think we’re solid.” Solid is good, but the Celtics don’t want to be good; they want to be great. In order to reach that level, they’ve got some work to do at the defensive end of the floor.